A spectator thoroughly shuffles the deck. The perlormer then removes three red cards and three black cards. With these he performs the classic rtoii and water" effect: the reds and blacks are repeatedly alternated, yet magically separate. The last time, the reds and blacks start segregated, yet magically alternate. Finally, the performer repeats the effect using the entire deck. Taking the spectator-shuffled deck, he gives it one shuffle. He then ribbonspreads the deck to show that the reds have separated from the blacks. 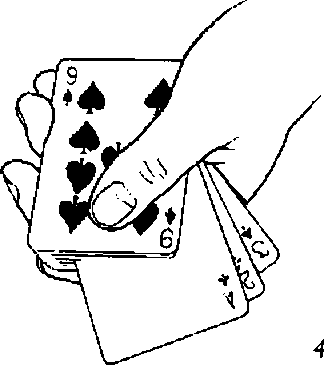 Gathering up the spread, he performs a magic gesture, then shows that the colors now alternate throughout the deck.